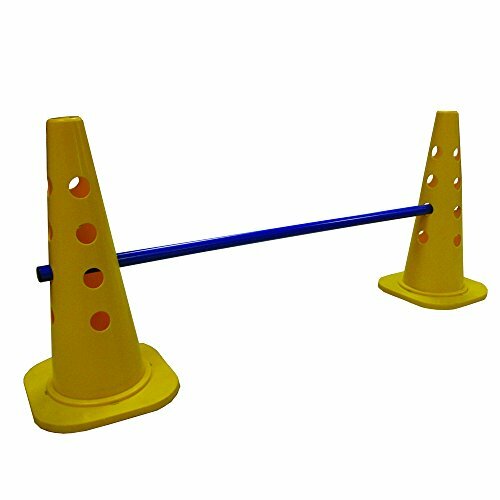 This multi heigh mini hurdle is great multisport item for agility training for any sport. Perfect for speed & jumping drills. Great for plyometric drills. Height can be adjusted from 4 to 18". The set contains two 18" cones, one cross bar, two height adjusters. Made of PVC lightweight plastic. Can be used for soccer, hockey, football, baseball etc. Great for all plyometric and agility training sessions. If you have any questions about this product by Amber Athletic Gear, contact us by completing and submitting the form below. If you are looking for a specif part number, please include it with your message.